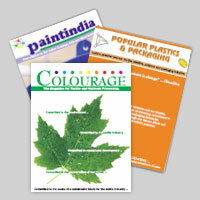 Colour Publications Pvt Ltd is India’s oldest publishing house for techno-commercial journals in India. They have been in existence for over 65 years and publish seven periodical B2B titles for varying industries such as paints/coatings, plastics / polymers /packaging, textiles, nonwovens/technical textiles, chemicals, personal/home care, food, pharma, etc. All of these titles have chemistry and coloration as their fundamental commonality. These journals now enjoy a visibility and brand equity beyond the shores of India as well, and are recognized as amongst the world’s best in their respective spheres. Colour Publications today has expanded its scope of activities beyond mere publishing into areas like Market intelligence, Exhibitions, Conferences, Commissioned Events and Printing Outsourcing. The company is today backward integrated with a fully self-sufficient and state-of-the-art in –house printing facility.